SINGAPORE - A 33-year-old man died in a traffic accident involving two motorcycles along the Marina Coastal Expressway (MCE) on Friday (Nov 3) morning. A 27-year-old man was arrested. The Straits Times understands that the two men were off-duty policemen. The accident occurred at around 5.10am on the MCE towards the East Coast Parkway, before the Central Boulevard exit. The 33-year-old male motorcyclist was pronounced dead by paramedics at the scene, while the other 27 year-old male motorcyclist sustained injuries. He was arrested for causing death by a negligent act. Police investigations are ongoing. 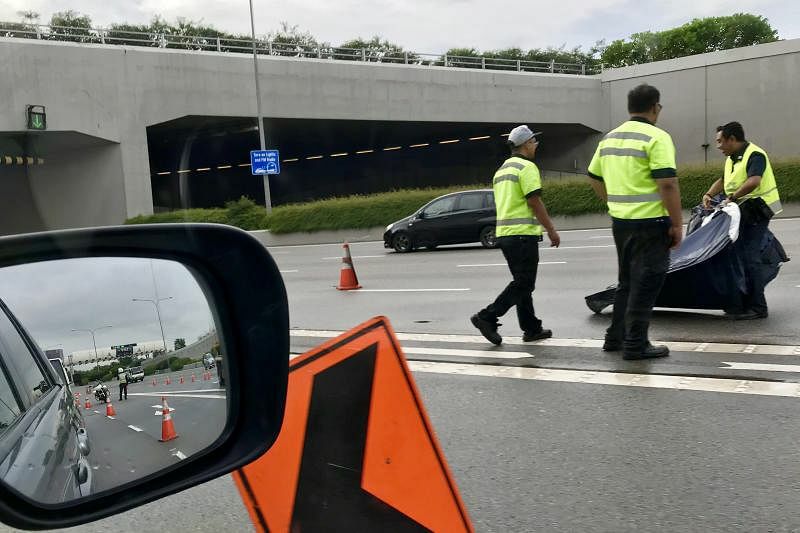 A video circulating online showed several vehicles on the leftmost lane, along with emergency vehicles and police officers at the scene. In June, traffic police officer Nadzrie Matin, 29, died in a traffic accident along Serangoon Road while patrolling on his motorcycle.